Two activist NRIs Nagender Chindam who is the Chairman of the UK-based Pravasi Bharat and Shamsheer V P from Kerala moved SC in 2013 and 2014 respectively seeking e-voting rights for NRIs. The Supreme Court has asked the Centre about the status of the proposal to allow 25 million Non-Resident Indians (NRIs) across the world to participate in Indian elections through e-vote. A bench headed by Chief Justice T S Thakur enquired about the latest stand of the union government after senior advocate Kapil Sibal appearing for a petitioner said one and a half years ago the Centre had accepted the Election Commission’s (EC) proposal in this regard, claimed it formulated a draft bill and told the court that steps are being taken to get the Representation of People Act 1951 amended. Two NRIs - Nagender Chindam, Chairman of the UK-based Pravasi Bharat and Shamsheer V P, an NRI from Kerala had in 2013 and 2014 respectively filed two public interest litigations in the apex court. “Senior counsel appearing for the Union of India seeks time to take instructions whether any amendment to the Representation of People Act, 1950 and 1951 is proposed in terms of the recommendations received from the Election Commission in so far as the Notification of NRI's as special voters is concerned, if so, the status of such process may be informed within 8 weeks”, the CJI said in the order. Once e-vote is allowed, NRIs will not have to fly home to vote. 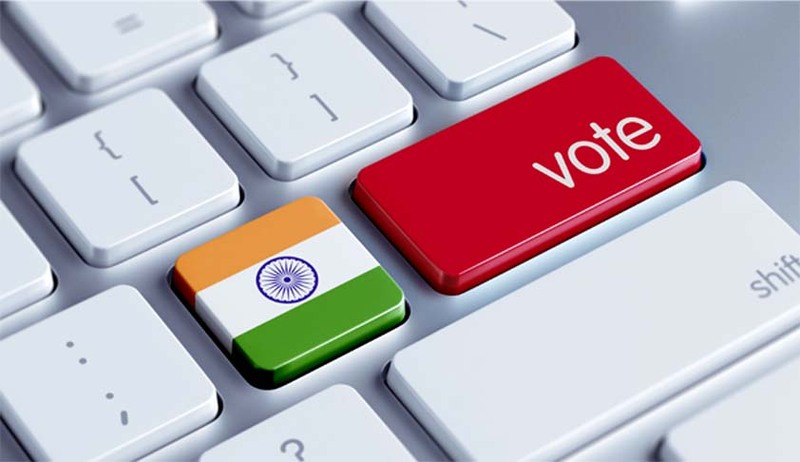 Responding to the PILs, the EC had ruled out the possibility of allowing NRIs to vote through the Internet or at diplomatic missions abroad for the time being. But it said epostal ballot system has almost no risk of manipulation, rigging or violation of secrecy. Till now only a small proportion of NRIs came to India to exercise their franchise given the expense and time involved. In e-voting, a blank postal ballot paper is emailed to the voter, who has to then fill it and mail it by post to their constituency.. The government had on July 8, last year told the court that it has “in principle” approved e-ballot voting for Indian passport holders abroad, recommended by the Election Commission in a report, and it would have the process in place after making necessary amendments to the Representation of the Peoples Act, 1951, that dealt with elections in the country. “The recommendation has been accepted in letter and spirit, and a committee had been set up to devise the modalities of its implementation", Additional Solicitor General P L Narasimha representing the Centre had said on that day. He also said that the Union Cabinet would soon consider a draft Bill to make the change before it is tabled in Parliament. SC then directed the government to enable e-voting by NRIs within two months after effecting the amendments.